Let the sun shine in! This exciting new design has a very translucent center panel for maximum light. 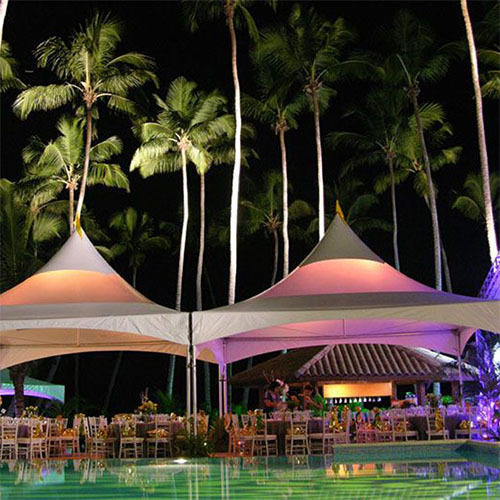 At night the glow of your event will light the sky for a fabulous special effect.